In just 13 weeks, Andy and I will travel back to Big Sur, California to run the Big Sur International Marathon on April 26, 2015. I can hardly wait! It is quite possibly my favorite place to visit on Earth. Well, one of them, at least. I joke that if I go missing sometime, this is probably the first place you should look. I’m excited to get back there, but I have A LOT of work to do between now and then! We are signed up as a relay team, mostly because the race fills up within minutes of opening for registration. Even though we attempted to sign up to run the full marathon the second it opened, we didn’t make it in. The relay apparently isn’t in as high demand, so we signed up as a relay team of two. There is a lot of flexibility as to how far each team member can run and while only one team member can start the race, there is no rule that that person has to stop running when they hand off the baton to their team mate. So, technically, that person could go on and run the whole thing. I guess you could say we found a bit of a loophole. Of course, they don’t want everyone doing this I’m sure, so don’t tell anyone. 😉 Only downside, is that you only get one time for the team and you don’t get the same medal as those signed up to run the full marathon. But I don’t care about that. I’m there to experience the beauty of this unbelievable place. Last year Andy finished the entire marathon even though we were signed up as a relay team. He started the race, handed off the baton (a slap bracelet) to me at mile ten and he just kept going. He originally intended to do the full, but during his training developed a stress fracture and had to wear an air cast for the next three months. Once he got it off just a month before the race, he was able to train a bit and made it to a 10 mile long run. During the race, he felt so good he just kept running and finished the whole marathon. I’m still in awe. I ran from mile 10 to the finish, about 16.2 miles, the furthest I’ve ever run. This year I want to do more. Now that I’ve run four half marathons, plus this 16.2 miles, I feel like a full marathon is the natural next step for me. When I finish my half marathons, I’m tired, but I feel like I’m capable of more. Since Big Sur is hands down the most beautiful place I’ve ever (or perhaps will ever) run and I have the opportunity to run the whole thing this year, I want to give it my best shot. With only 13 weeks to go, fitting in all that training in cold, snowy weather amongst the business of raising three children, during cold and flu season, may be totally unrealistic, but here is the plan I have mapped out. It’s my “Pie in the Sky” training plan. I’m going to do my best to fit it all in and we’ll see what happens. 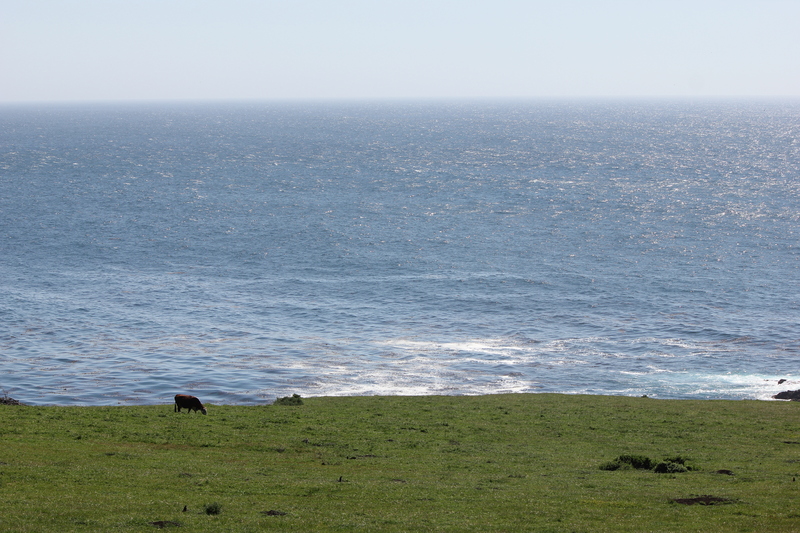 The other thing I’ve been considering is that the Big Sur Marathon course is no easy, flat race. In fact, I would go as far as to say it could be one of the most challenging marathons out there. You’re running through the mountains and cliffs alongside the Pacific Ocean. It is breathtaking! But it’s also very difficult. Hurricane Point falls virtually in the middle of the race and is a 560 foot incline. My leg of the relay last year started at the bottom of this mountain. I had to stare at it for the two hours I waited to start the race. Looking at the struggle I was about to take on, was a little intimidating, to say the least. This year, I know I need to include some steep inclines in my training. I’m not fully convinced that trying to do a race this hilly is smart for my first full marathon, but I have a tendency to not let anyone or anything get in the way of what I want to accomplish. 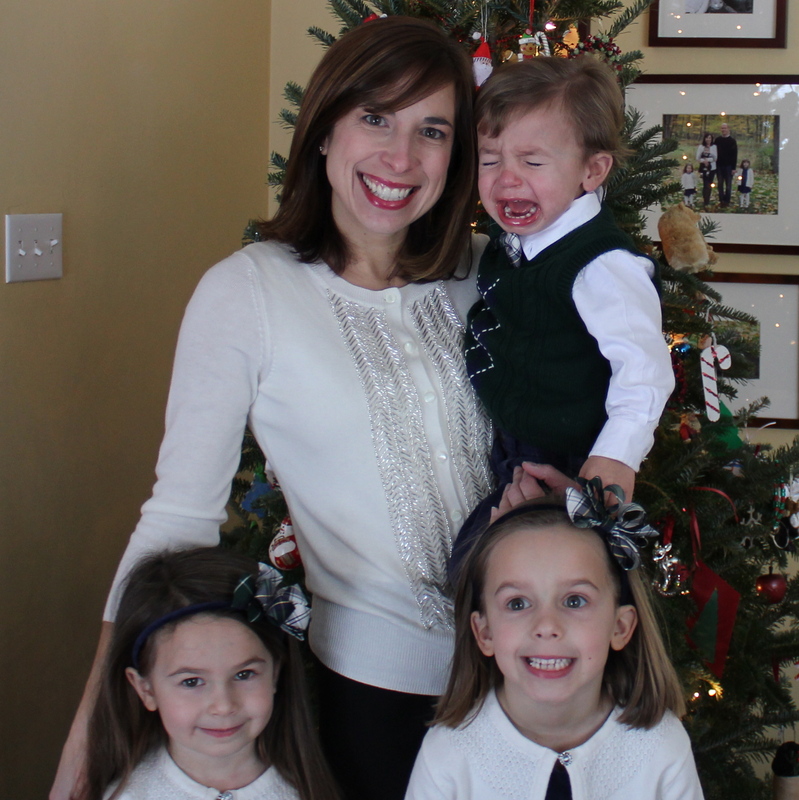 So, again, I will fit in as much training as I can between the winter weather, the cold and flu season, the craziness of parenting a 7, 5 and 2-year-old and I will reassess things as the race approaches. I’m pretending the occasional foot problems I experience will not be a problem. I know things will not go as I plan, but here is my very optimistic running calendar for the next 13 weeks. This is adapted from Hal Higdon’s Novice 1 Plan. In weeks 4 and 5, I’ve moved my “long run” to Wednesday because I will be out of town both of those weekends. April 20 to April 26 13 Cross Train 3 m run 4 m run 2 m run Rest Rest RACE! If things begin to fall apart and the weather, illness or lack of time make it impossible to follow the plan above, at some point, I will stop being unrealistic. If that happens I will decide to run only two or three of the relay legs making it a 21 or 16 mile race instead of 26.2. 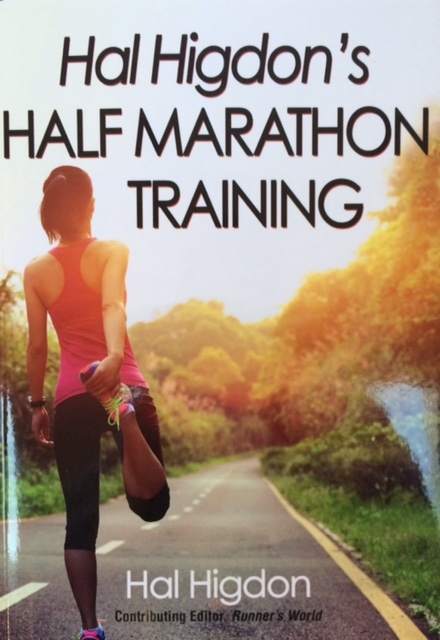 Here’s the half marathon training plan I have followed in the past. It is adapted from Hal Higdon’s Novice 1 Half Plan. I will follow something similar to this except perhaps go up to 14 or 18 miles for my longest runs. April 20 to April 26 13 Cross + Strength 4 m run Cross + Strength 2 m run Rest Rest RACE! Want to join in? Maybe you want to do a spring half marathon? Let’s follow each other’s progress and inspire each other to keep running. If you haven’t already, “Like” my Facebook page where I provide running tips and inspiration. I’m also on Strava and Map My Run if you want to “friend me” there and we can see each other’s courses and pace info. I hope you’ll join me on this adventure! DISCLAIMER: You should always consult your doctor before beginning any new fitness routine. This is my personal training plan. 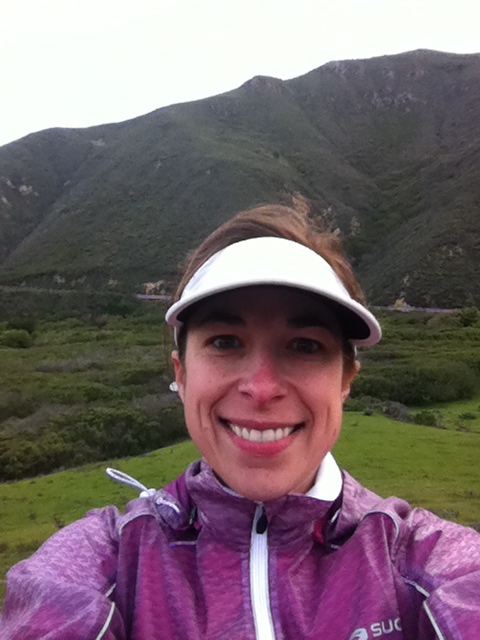 This entry was tagged Big Sur Marathon, half marathon training plan, marathon training plan. Bookmark the permalink. 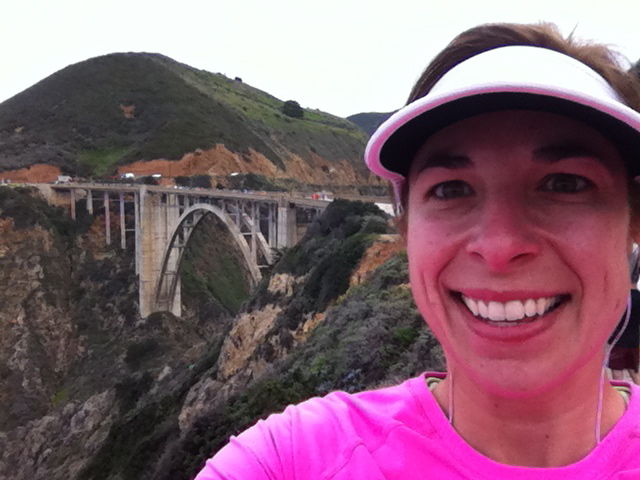 I ran the Big Sur Marathon a few years ago – one of my favorites of the 15 marathons I’ve run! After a while, the downhills actually bothered me, but the views were gorgeous! Thanks for letting me review your training plans, Busy Mom. Looks good to me. Without getting into the day-by-day workouts, the overall balance looks good. You already have run a couple of medium long run: a half and a segment of Big Sur last year, so you are far from being a rookie. The key to any marathon training program is: Do the long runs. You seem to already have figured it out. Apart from that, Big Sur features some prodigious climbs. The best way to succeed in the ascent is not to fight them. No need to worry about finishing time on this challenging course Just shift down a gear or two, stay in the comfort zone, and keep your gaze on the top of the hill. (Slumping forward and staring at your shoelaces will slow you down.) Certainly, you should also program some hill training into the mix. You may or may not be ready for hill repeats, so seek hilly courses for some of your long runs and some of your short runs too, even if it means jumping in a car. But since you live in Chagrin Falls, the water must be falling from something. Inclines are not that hard to find if you look for them. Training for Big Sur should not be that difficult either. Have a great training cycle and a wonderful race. May the wind be at your back. I just discovered your blog and would love to be your friend on Map My Run. My user name is sknlmom. I am a mom of five, trying to get back into the running scene after having a baby 4 months ago. Your posts are really inspiring!